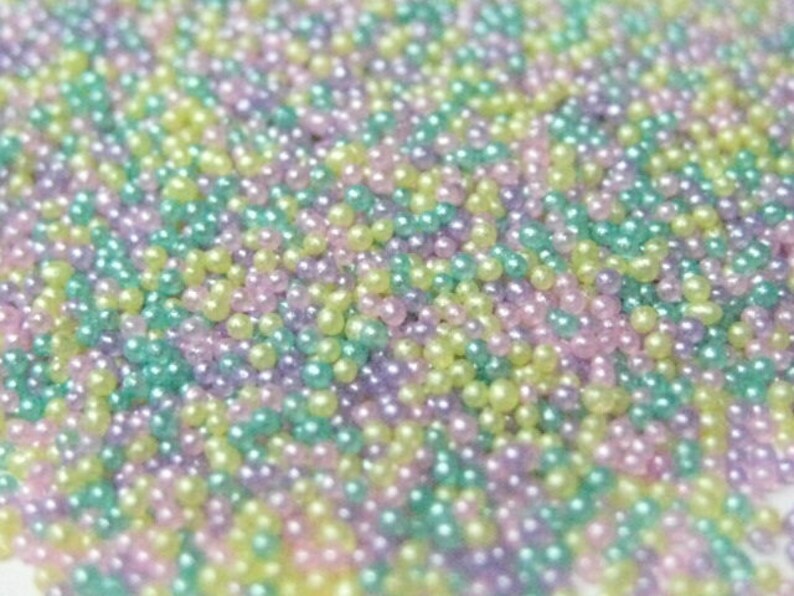 A pretty pearlized pastel color mix of microbeads. Comes with free one inch reusable container. SIZE average .6mm - can range from .5-.9mm within. Excellent customer service, super quick shipping and exactly what I was looking for.